A veneer is a thin layer of restorative material placed over a tooth surface either to improve the aesthetics of a tooth, or to protect a damaged tooth surface. There are two main types of material used to fabricate a veneer, composite and porcelain. A composite veneer may be directly placed (built up in the mouth), or indirectly fabricated at a laboratory and cemented at a subsequent visit using a dental cement. 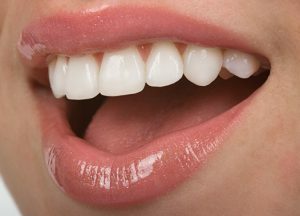 A porcelain veneer can only be fabricated indirectly in a dental laboratory.